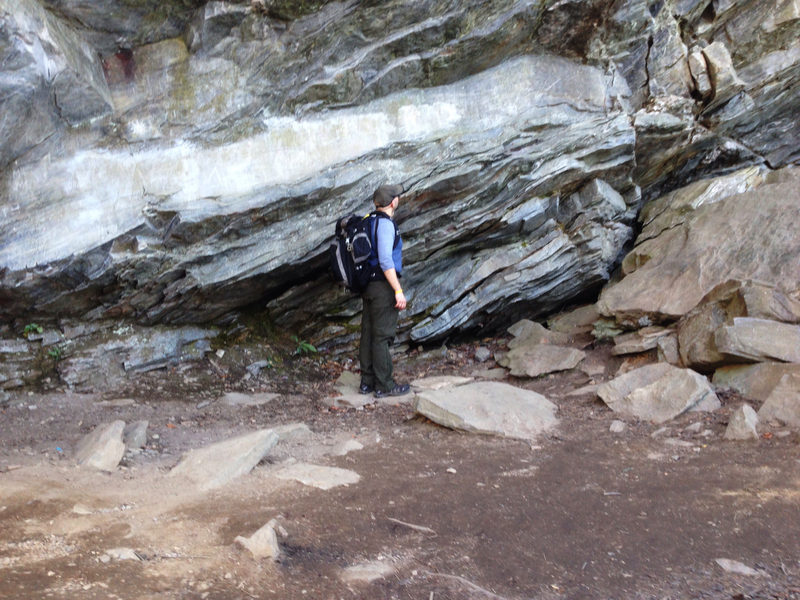 Berk Biryol observes more than 100 million years of old rock formations at Hanging Rock National Park in Danbury, North Carolina — a site that, in the geologic past, was located next to a plate boundary. Now, it is a part of the region that Biryol’s study focuses on. On a warm summer night in 1999, a violent earthquake ripped across the country of Turkey. The Izmit earthquake, which registered as a magnitude 7.8 on the Richter scale, lasted only 37 seconds, but killed 17,000 people and left half a million people homeless, according to the European Seismological Commission. Just three months later, the Düzce earthquake (magnitude 7.2) shook the country again, resulting in almost 900 fatalities. Berk Biryol, a UNC seismologist originally from Turkey, not only lived through both of these earthquakes — he studied them as an undergraduate at Middle East Technical University. The Anatolian plate — the block of earth beneath the country of Turkey — is in a tight spot. The Arabian plate puts pressure on it from the east, creating the North Anatolian fault zone. The larger Eurasian plate to the north won’t let the smaller Anatolian plate budge, and to the south, the African plate is subducting, or pushing, from underneath it. The tectonics of Turkey fascinated Biryol during his undergraduate career. More than a decade later, he has dedicated his career to understanding how seismic forces shape our planet. But unlike the North Anatolian fault zone in Turkey, where you can see obvious evidence of earthquakes on the surface, Biryol is looking deep into the earth where it’s much harder to see fault lines — in places like North Carolina and Virginia. 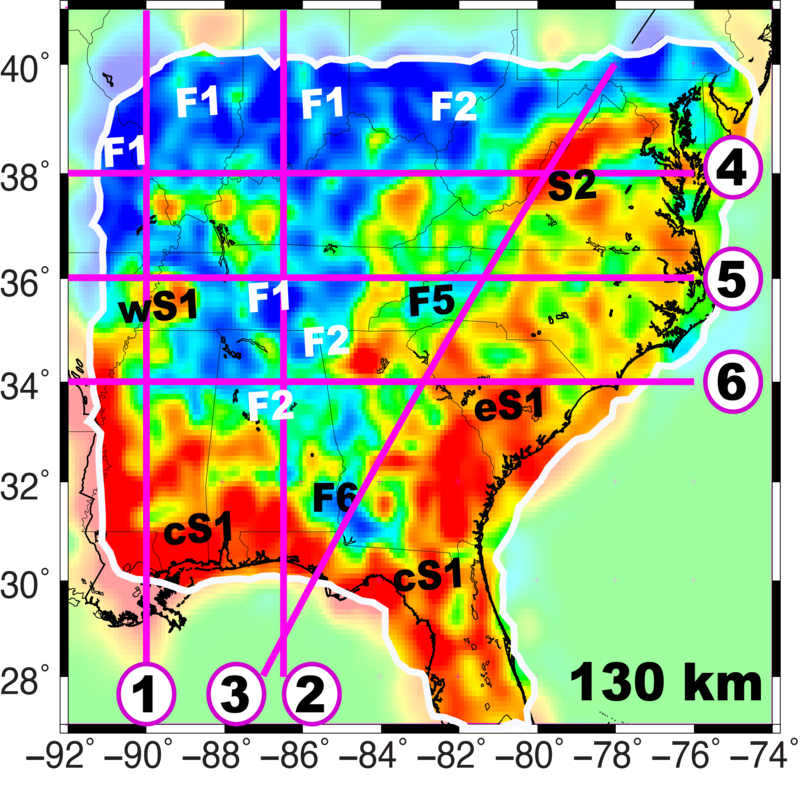 Tectonically speaking, the Southeastern United States is located about 1,000 miles from the closest plate boundary. Since we’re situated in a “plate interior,” we don’t have to worry about earthquakes, right? Not quite. In 2011, seemingly out of nowhere, a 5.8 magnitude quake rocked our nation’s capital — it cracked the Washington monument and was felt by more people than any other earthquake in the country’s history, according to the U.S. Geological Survey. Where did that come from? The seismicity of plate interiors has not been studied very well. We don’t know exactly why earthquakes occur here, but Biryol thinks they could be related to ancient weakness zones, left behind from a tectonic episode roughly half-a-billion years ago. [/media-credit] A tomographic map helps seismologist Berk Biryol locate weakness zones in this section of the earth’s crust. About 14,000 earthquakes of magnitude 4.0 or greater shake the surface of the earth each year, according to the U.S. Geological Survey. We usually don’t notice earthquakes below 5.0 on the Richter scale — but all these small earthquakes give seismologists clues about what’s happening below us. To find weakness zones in the earth’s crust underneath the southeastern region, Biryol analyzes data from a “seismic network,” or earthquake monitoring stations — about 250 of them — that are deployed in a grid pattern across Georgia, South Carolina, North Carolina and Virginia. The equipment is very sensitive—so much so that a station in North Carolina can record a minor earthquake taking place in Japan, about 12 or 13 minutes after it happens. When an earthquake occurs, waves of energy emanate from it in all directions. Some of those waves go deep into the earth, hit the core, reflect back up, and ping one of Biryol’s stations. Others shoot directly toward the station. Biryol can guess how far away the earthquake happened by observing the frequency of those waves. The longer the wavelengths, the longer the distance. He records and analyzes P-waves (primary), which travel the fastest and arrive at the station before the slower S-waves (secondary). Those variations in structure, along with fluctuations in heat and pressure, reflect and refract seismic waves. So Biryol uses an inversion algorithm to find out how fast this energy travels. By combining data from hundreds of earthquakes, he produces graphics — or tomograms — that give provide a color code for different areas. From that, he can distinguish the plate from the mantle. The blue coloring on the seismograms represent cold, rigid, dense regions in the crust. The more molten (hotter and weaker) regions appear red and are seismically slow — the rock there is hard, but it has some pliability to it (at least as far as rocks go). A concrete sidewalk, for example, has some cracks in it, but it’s solid. That part of the sidewalk is like the plate, and as the laws of physics tell us, the more rigid and sturdy something is, the faster energy travels through it. But another section of sidewalk that just had some new concrete poured into it yesterday (so it’s solid but has some give) — that’s like the mantle, and it transfers energy from earthquakes slower. Through his seismic tomography, Biryol has discovered this region has deep weakness zones that likely contain faults. But the question is: Why are they activating in some places but not in others? In North Carolina, we don’t have 5.8 magnitude earthquakes. Berk Biryol is a postdoctoral research associate in the Department of Geological Sciences within the UNC College of Arts & Sciences.